The most inspiring and unique tools are often those that are born out of personal needs. We have just covered the KMI K-Mix, originally conceived by Keith McMillen after realizing how heavy and bulky traditional mixers are. The Copperphone has a somehow similar story: it was invented in 2003 by Mark Pirro, the bass player for The Polyphonic Spree. Tim DeLaughter, the singer of the band, wanted to use the classic telephone vocal sound in his live setup but hadn’t found a consistent and effective way to do it. Mark invented the mic out of old communications components placed into a copper pipe. The Copperphone became a staple of Polyphonic Spree’s concerts and was later made available to the public through Mark’s newly founded company, Placid Audio. 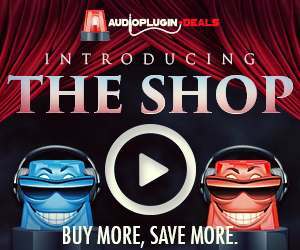 The early 2000s could be described as the wonder years of the digital audio revolution: the DAW market started booming, new plugins allowed users to emulate classic instruments (analog synths, etc.) and effects. In short, for many of us in those years software was cool, while hardware was a synonym of something obsolete, hard to maintain and often terribly expensive. When the Copperphone was introduced on the market, many dismissed it as a one-trick pony that could easily be replaced with a plugin. At the same time, many others saw something in it: a source of instant inspiration, a nod to a golden era of recording and music production, a unique tool for warming up the increasingly digital sound of their tracks. The Copperphone slowly became an ‘underground hit’. As mentioned in its Wikipedia page, over the years the mic has been used by artists like Green Day, Queens of the Stone Age, Lou Barlow, Rush, Norah Jones, Jack White, St. Vincent, The Bright Light Social Hour, as well as by Grammy Winning producer Jacquire King. The Copperphone is a moving-coil dynamic mic with a cardioid pattern and a 200Hz to 3kHz frequency response. The tuned chamber is attached to a brilliant mounting bracket made from aircraft aluminum, which also allows for horizontal positioning. Despite its limited bandwidth (or actually, because of that), the Copperphone is quite a flexible tool: being a piano player, I have immediately put it in front of my 100-year old upright, and the result was a sonic trip through memory lane. As many engineers have found out over the years, the Copperphone works great both as standalone and in combination with more ‘regular’ mics (Neumann KM184 or similar, ribbon mics, etc.). Layering these two different sounds in your DAW can achieve surprisingly inspiring results! I’m a fan of lo-fi sounding voices, so that was an easy match for the Copperphone. I used to work with a mix of different plugins to achieve this effect, but I really like having a tool like the Copperphone and trying different ‘blending’ options (also, if you are lucky enough to have a variety of preamps, it’s the right time to put them to use). Last but not least, I’ve found the Copperphone very effective for creative sampling: beats, textures, quirky soundscapes, you name it. Electronic music producers and sample libraries makers, I’m looking at you! Many years have passed, but tools like the Copperphone still matter and can be a highly valuable discovery for new generations of producers as well. DAWs have become ubiquitous, plugins have incredibly improved, but today more than ever many producers keep looking for a ‘warmer’ sound, a certain ‘mojo’ that can help make their track stand out. The fact is there’s no such holy grail, but I believe that certain tools can have a strong impact on our workflow and help us get better results. 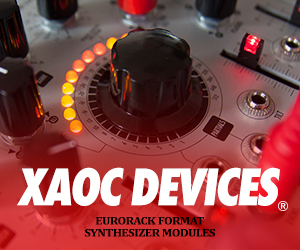 Speaking of synths, you can get a plugin to sound like the analog model it emulates, but the interaction with the instrument will be significantly different (even if you go through the hassle of MIDI-mapping some of its controls). And that’s where the creative result lies: the sum of those interactions and gestures IS your art. The same thing can be said for tools like the Copperphone. Yes, you can probably find ways to emulate its sound through one or more plugins chained together, but to me it’s all about the creative process: having the right tool at hand, finding the sweet spot, recording the performance, done! At its best, music is always a natural, organic process. After all, this is why we often appreciate old recordings over those made in the past 20 years. Capturing sounds with the Copperphone is an inspiring process and a way to keep things ‘real’, without having to resort to a more ‘artificial’ digital workflow. 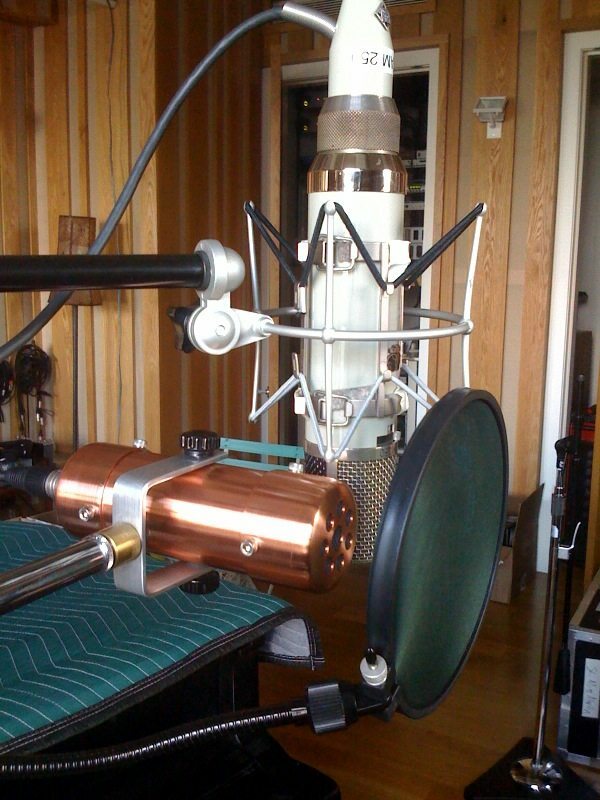 The Copperphone is for those who don’t believe in the ‘fix it in the mix’ mentality. 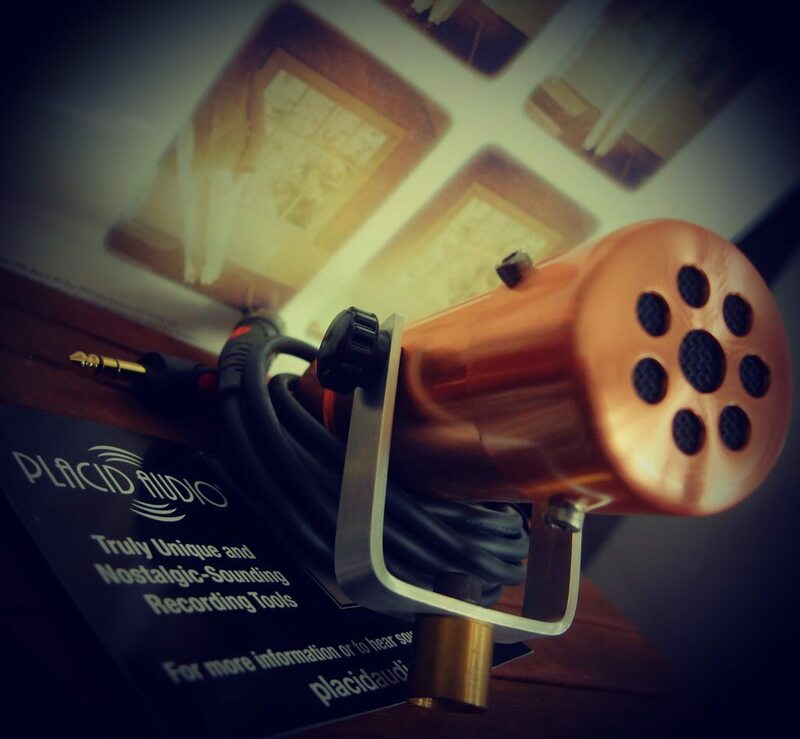 In the last few years Placid Audio has introduced two new microphones, the Copperphone Mini and the Carbonphone. The Copperphone Mini is, as you would expect, a smaller, more sensitive version of the Copperhone (originally designed for harmonica players), without the resonant chamber and with a more direct sound. The Carbonphone is a more flexible product. 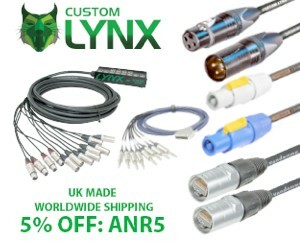 It comes with a 5 position variable filter Tone Box (that doubles as a phantom power source) and relies on a military grade carbon granule element to capture sound. Due to the unpredictable response of the carbon capsule, the resulting sound is naturally distorted, band passed and very ‘lo­fi’. The Copperphone is available from Placid Audio for $264.99. 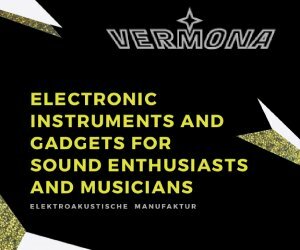 European users can order it from Digital Audio Service for 349 € (incl. VAT).